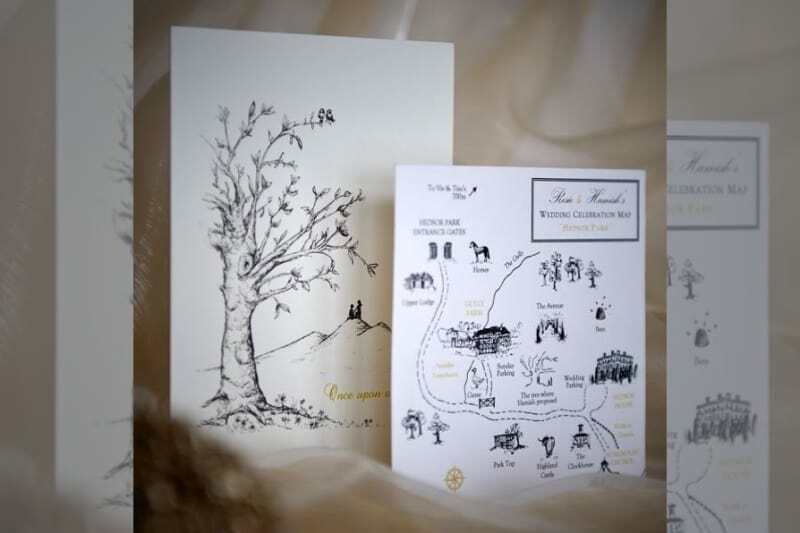 We must start with this imaginative customised map, heroed by Bridebook’s very own Hamish & Rosie. 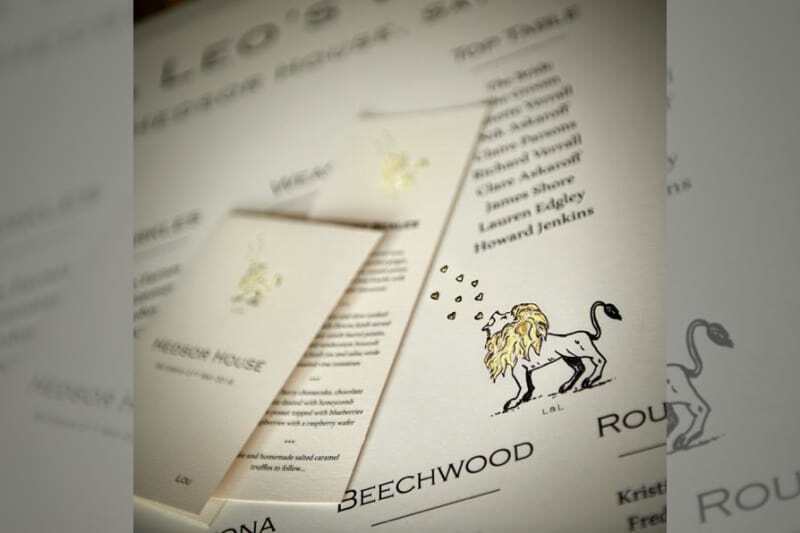 Bespoke illustration is the perfect way to connect with guests and personalise your special occasion. No-one else will have the same! 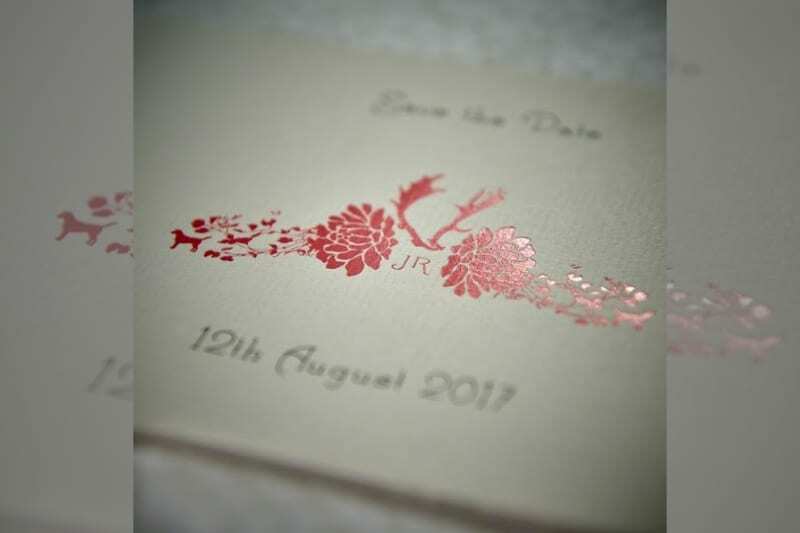 2017 trend predictions: Customised maps, Mr & Mrs silhouettes, magical fairy-tales. Create an emblem unique to you both. Monograms motifs are our hottest prediction. 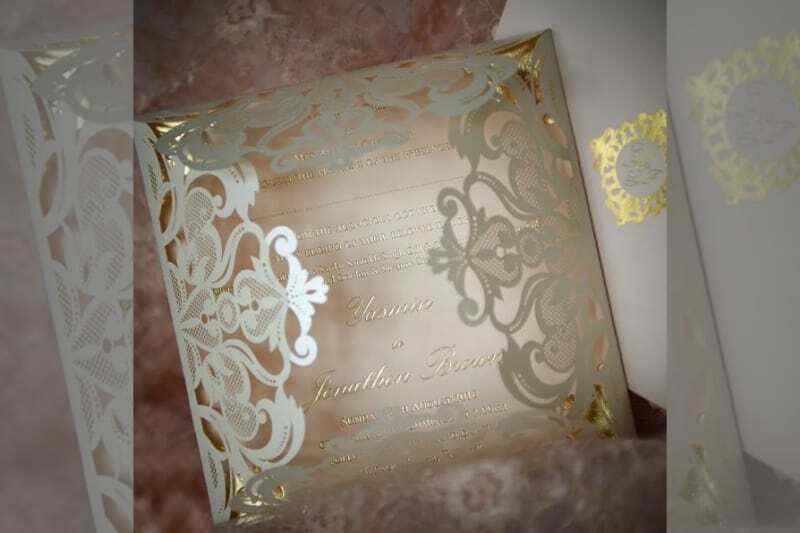 Beautiful and personal, these can be used on everything from your wedding cake to your dance-floor lighting! 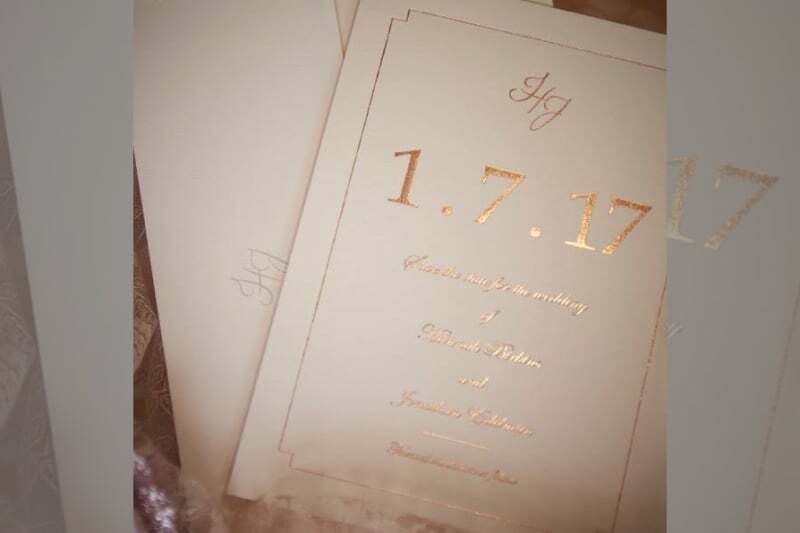 2017 trend predictions: Monogram motifs, foiled or letterpressed across your stationery. 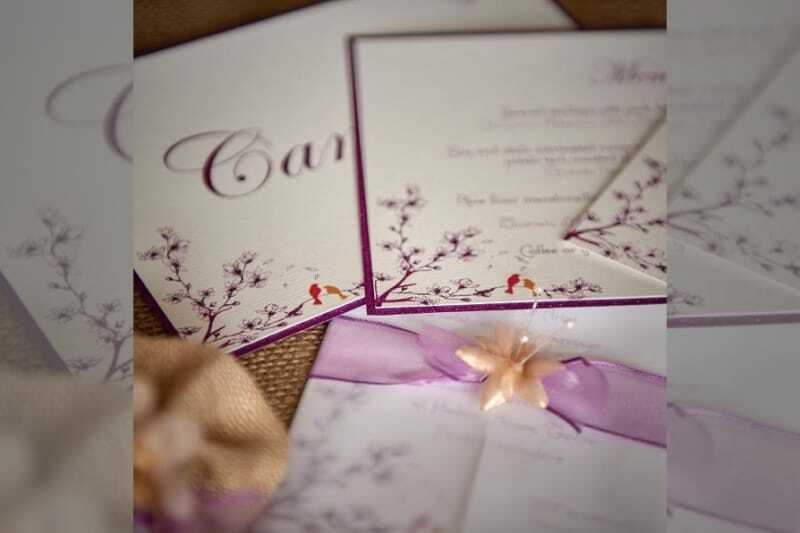 Our recent showstoppers – delicate, beautiful and romantic! 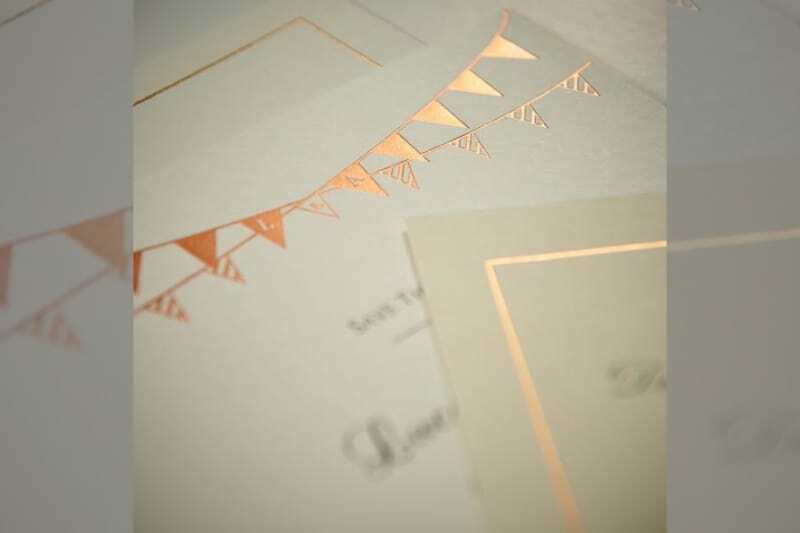 Marry a monogram motif with letterpress, blush papers and pearlised lazer-cut. Add a dreamy quote – could we get any more on trend! 2017 trend predictions: Luxury lazer-cuts, soft palettes, extreme romance. Taking super luxe to the extreme. 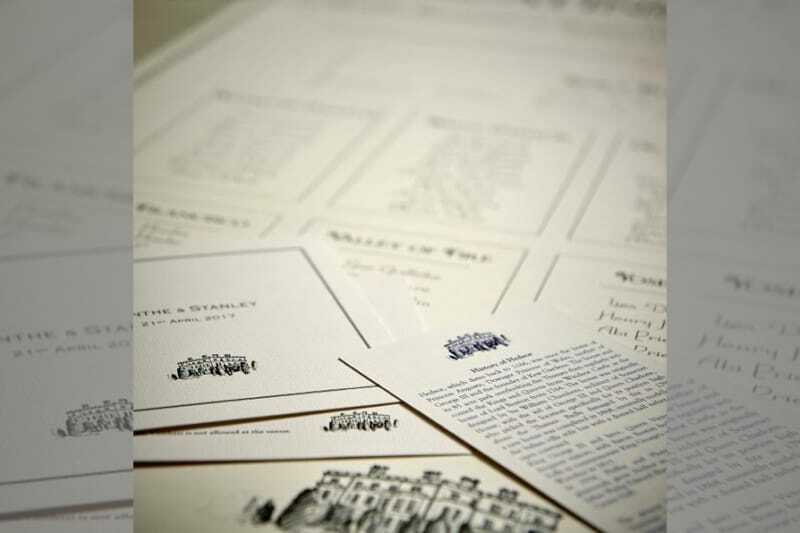 Bespoke letterpress crest, tissue lined boxes, artesian hand-crafting, signature seals and miniature bow-ties… choose your style and impress with serious hand-craftmanship! 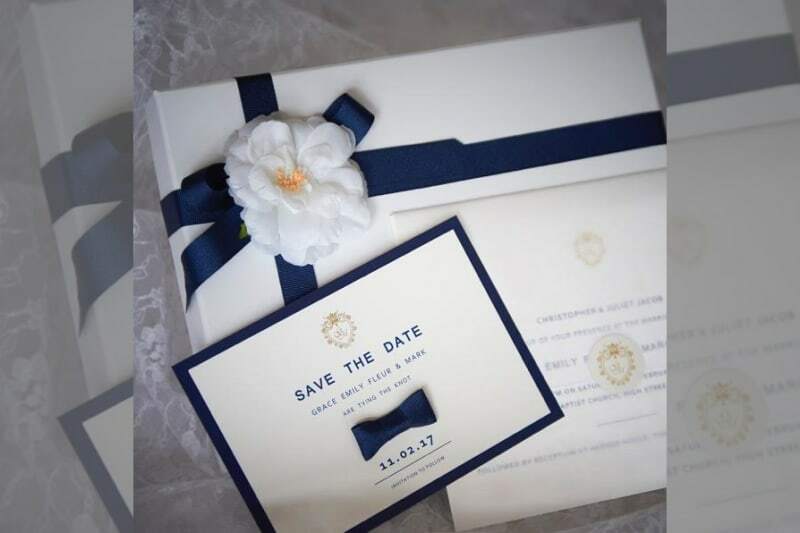 2017 trend predictions: Couture crafting, fabric touches, statement stationery. 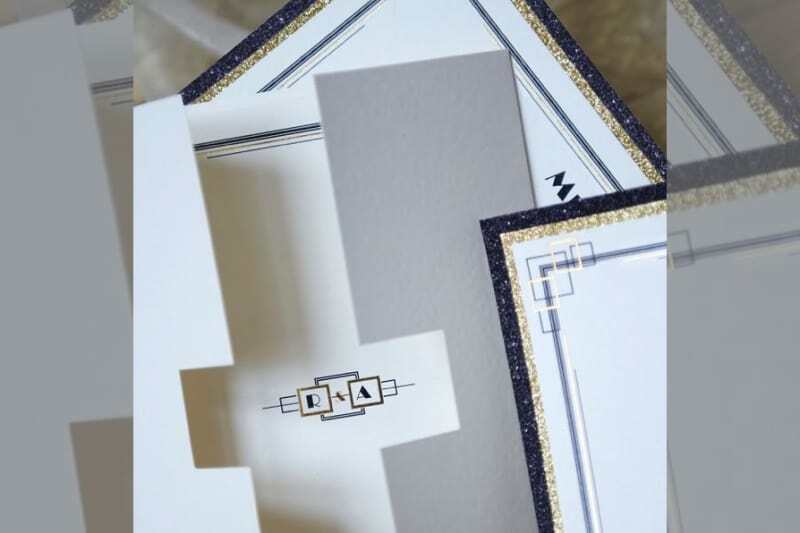 Elegantly understated, a metallic hint adds luxury to classic stationery. 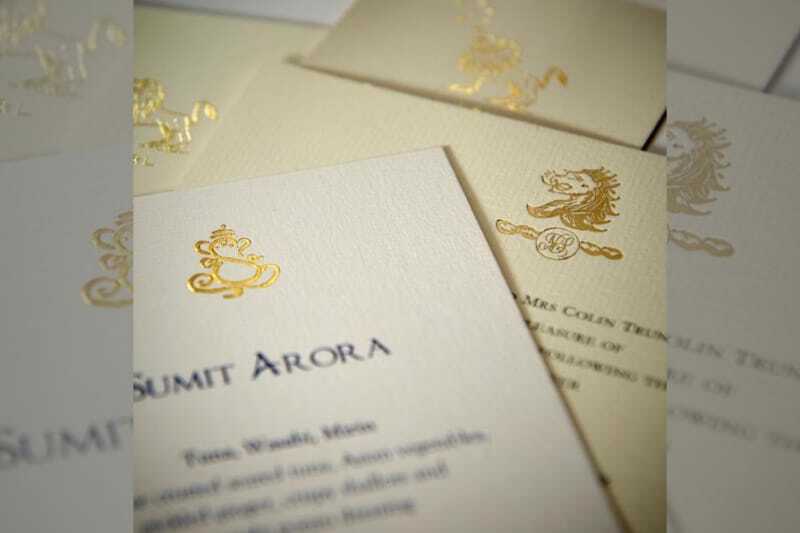 We’ve created meaningful motifs, family crests or beautiful borders pressed into each item – the list is endless. 2017 trend predictions: Chic metallic hints of rose gold, dusky blues and muted gold. 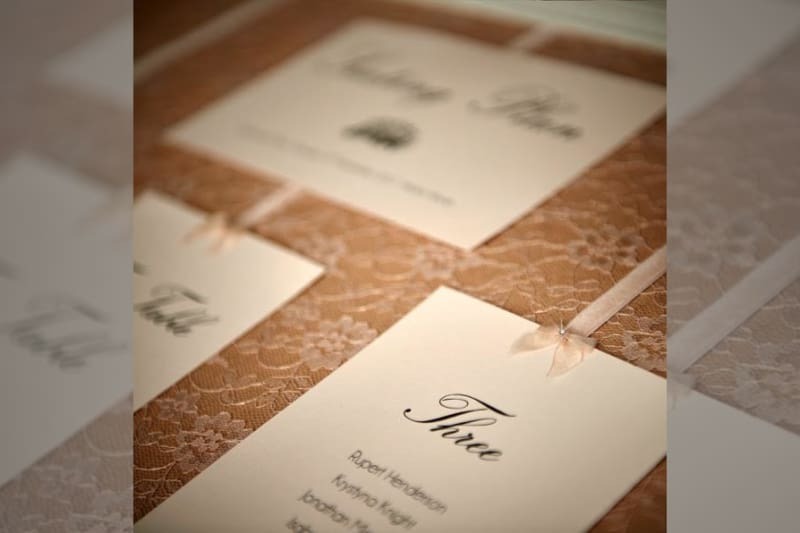 Entwined initials – classic, elegant and timeless. 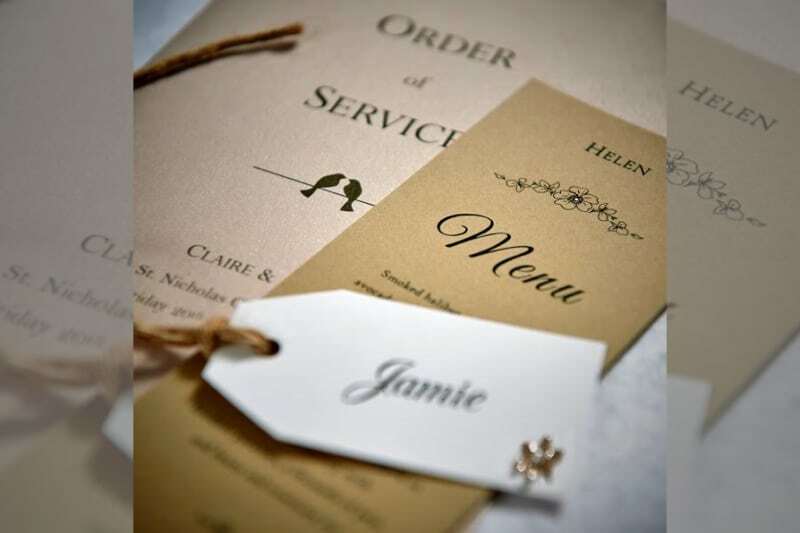 Personalised bookmark menus – contemporary, personalised, a lovely keepsake. 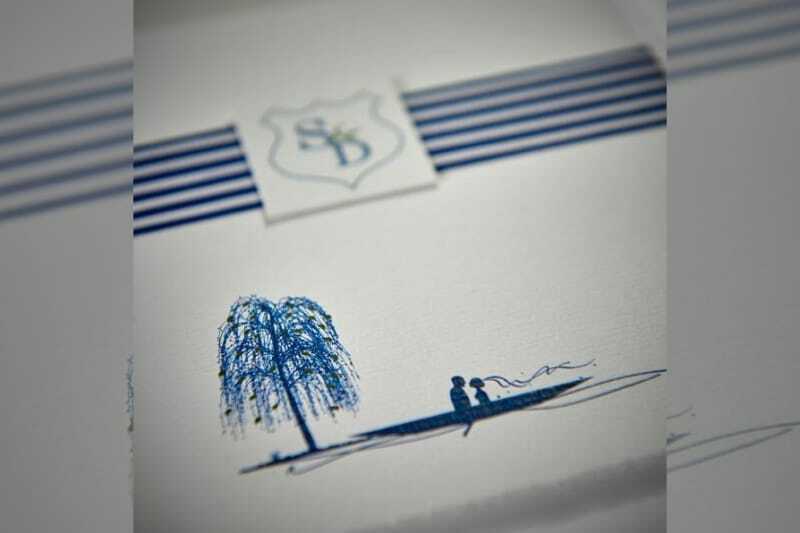 Venue illustrations – include old-school sketches of your desirable wedding location.